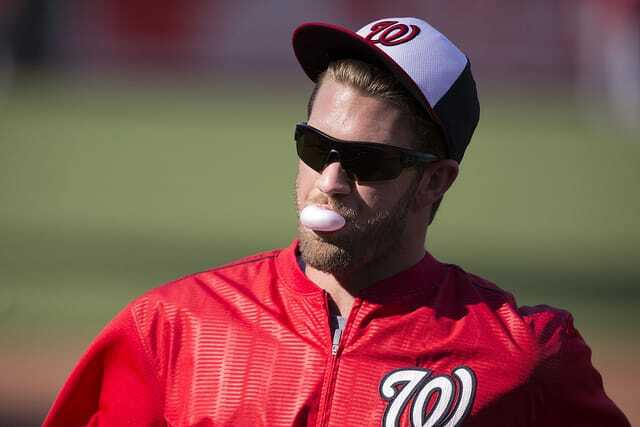 As a big time Washington Nationals fan, I’ve been watching Bryce Harper play here in D.C. since he was first brought up to the majors at the age of 19. As you might therefore imagine, I’ve been closely following his free agency this fall. It was due to this hardball diligence that I recently noticed a small sports page news item that intersects with the types of topics we like to discuss here. A couple weeks ago, Harper declared he was going on a social media fast. He even ironically (oxymoronically?) introduced a hash tag for his effort: #teamnoscroll. I applaud Harper for his public step back from social media, especially during a period of intense scrutiny where checking the latest buzz would only increase his anxiety. But reading about #teamnoscroll prompted an interesting thought: Why aren’t more superstar athletes permanently disengaged from social media? At the elite level, athletes differentiate themselves by maximizing every physical and cognitive advantage (for more on this, see Ben Bergeron’s Chasing Excellence). 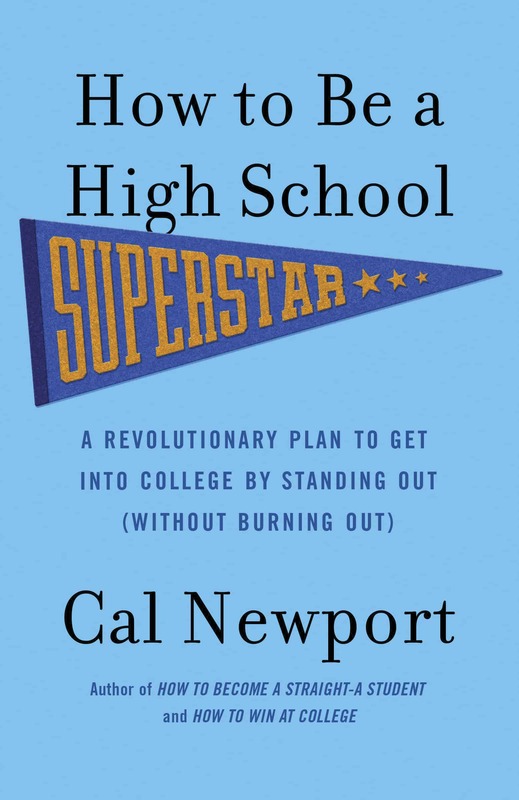 Superstars become superstars, in large part, because they pair once in a generation gifts with relentless training. There’s a reason Lebron James spends $1.5 million dollars a year on his off-season training: the return on investment is worth it. But then there’s social media. These services create cognitive drag by subjecting you to a compulsive mix of drama and distraction. If you’re famous, this drag is even more pronounced. For the average user, this reality might prove a nuisance, but for athletes performing at the top levels of their sports, the result could be the difference between a solid career and the hall of fame; a 5-year $25 million dollar deal, and a 10-year $350 million deal. And yet, many of the same athletes that measure their food on a scale are somehow fine scrolling on a whim. In my role as an author who writes about focus, I’ve had the opportunity to discuss deep work with front office professional sports types. The general sense I’m getting is that pro teams are becoming increasingly wary about the impact of technology on cognitive fitness. Some have told me that it’s the sports agents who are exacerbating this problem by encouraging their clients to “build their brand” through social media. I have a hard time believing this is true because it’s self-defeating. I can’t imagine that star agents like Scott Boras, with his binders full of advanced analytics breaking down every contribution of his clients, would be blind to the extra edge provided by an unusually focused mind. I wouldn’t be surprised, in other words, if we start to see more of a systematic move away from social media by top figures in sports as the full impact of this technology is better understood. To make this more concrete: few things would make me happier than to see much less of Bryce Harper on Instagram, and many more years of his ferocious swing here at Nats Park. As a part of “building their brands,” I always thought that most athletes and entertainers have a millenial on their staff to be their social media person. Essentially, all that contact that the public thinks they’re getting with their favorite celebrity is actually someone that their managers hired and manage as part of an overall strategy. Even quitting social media during free agency can be used to draw more mystery and attention to a player. Call me a cynic….. It still doesn’t change the potential mental impact of the athlete following their own brand on social media. I tend to agree, Hannah. The same strategy is followed by many heads of states as well. They do have a team that handles these things. Surely they are aware of the importance of a focused mind, so all these peripheral things get outsourced. Cal, do you think the same when it comes to musicians? Agreed, but do you maintain any kind of social media account that your fans can interact with? Because the question of whether to use the mobile app, versus whether to maintain any account at all, seem separate. I’ve never had the apps on my phone, but I’m thinking of creating a social media page. I can see athletes and entertainers in general on social media. After all, it’s a platform, potentially more powerful than TV. I agree with the idea that “branding” is done on the field (who cares about an amazing social media personality if his BA is constantly below the Mendoza Line) , but it’s probably true that social media might help in drive up sales and so on. After all, part of the Moneyball experience demonstrated that some players were overpaid due to external factors such as hot girlfriends or look. Hey Cal! I know this is not the right article but i absolutely need to ask this! Im in high school and i need urgent help as grinding tons of problems isnt getting me anywhere and im getting Cs in 12th grade! How do you study for a discipline like English,where everything is about interpreting a text that you read for the first time,to use grammar rules and write essays? And also,when studying for maths, the 1st step is to try to understand in depth the concept and then only solve example problems,with the solution beneath them and not grind through thousands of problems where you only get the solution,not the solving process right? 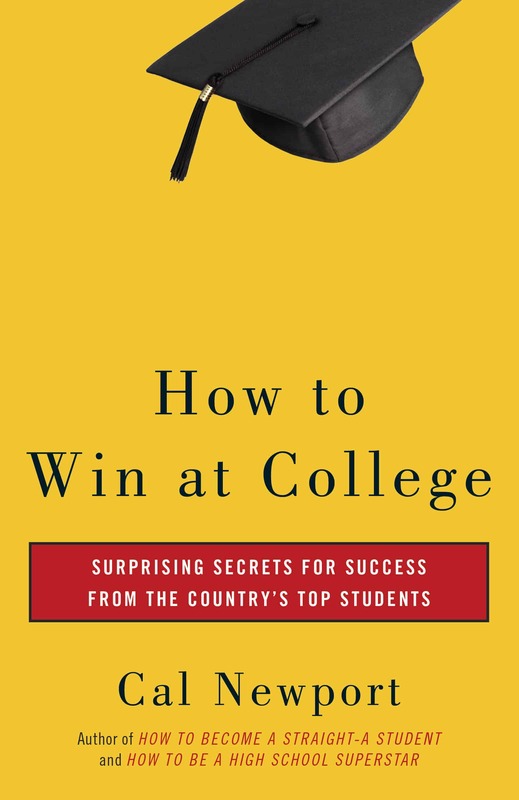 Dan – have you read his two books aimed at students (HS and College)? “Deep Work” will also be useful – at least to an extent. As for English, I strongly suggest that you analyze what you read while you’re reading it. Ask yourself questions, then write down your thoughts. Pay attention to the author’s language choices; after a while you’ll write better than anyone else. Stephen King’s “On Writing” might also help a bit. Yes I did read both books but im having doubts about its effectiveness. Should I do that on tjhe english tests? Or while in class? Like in class the teacher reads some texts of certain authors and we take notes on what she says like “this line is a metaphor”. And take notes of those thoughts in form of QEC? This is the ‘deep’ work you need on the fundamentals. With English, I would suggest clearly defining the actual problem you are having. It is very different if you have spelling problems vs don’t have a broad enough vocabulary (too many words you don’t really know) vs don’t know a catalog of labelled techniques (eg symbolism, analogies, simile) vs not using enough quotes to back up your thesis. English, once so defined, can then be again a deep learning skill. I was wondering if you were aware of the Clemson Football team’s 7-year tradition of a player-led in-season social media ban? It’s something I’ve always thought was an excellent idea considering the comments, analysis, and opinions that fly around during the season, and the other pressures faced in school and athletics at that level. It also correlates nicely with their current rise to elite program status. Of course. there are other factors in their success, but I suspect the reason the players keep voting for it is that they can appreciate the benefits. Hey Cal! Great article man! I’m wondering if you can cover celebrities or musicians whom are not using social and are getting great results from making that decision? Most millenials are following their idols through instagram, twitter and snapchat. However, there are some celebrities who do not have social media accounts, like Jennifer Lawrence and Daniel Radcliffe, and are thriving in their careers. You might be interested in Matthew Stafford QB for the Detroit Lions, who doesn’t have any social media accounts. I would suspect that for most top performing athletes they would have extremely strict training regimes which are being micromanaged by at least one coach, if not a team of coaches. Especially if it’s not a team sport, like swimming or tennis, where you’re going to be basically one-on-one with trainers for long periods of your day. In these environments I imagine the opportunity to be ‘distracted’ by social media, at least during training hours is kept to a minimum. The important question is what are the long term effects of extended social media use during personal time (and break time), and is this enough to explain a significant proportion of the difference between 5-year $25M contracts and 10-year $350M contracts? How much the does the attention robbing effect spill into in-game performance? 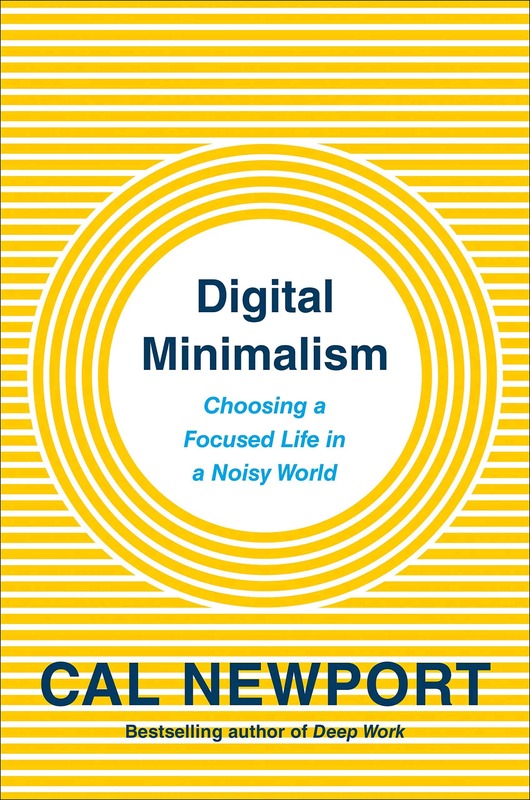 It would be very interesting to see the contrast between this and the knowledge worker environment where individuals have constant, unimpeded, access to digital technology during work and personal hours. Consider further then that contrast between the many ‘open office’ cultures which encourage and sometimes enforce these distractions, against the elite level athletes where, despite marketing strategies, the focus during training would still be on training (and focus). Building the brand is the benefit of the individual and raising their image. This will subsequently increase their earning income from sponsorship. You yourself do this by writing blog posts, you could spend this time reading and writing another book but you know building your brand helps sell books. This happens quite a bit with my sport. I train Judo and some of my partners are on their phones scrolling through Instagram feeds whenever there is a break. Sometimes they would take more time than needed, and so I would be there waiting for them to get my sparring in. It wastes important time for sparring, drilling, or working on a new technique. Lebron James has also done a social media blackout during the playoffs in the past few years. When you have 1.4m followers on instagram and 1m followers on twitter, you sell A LOT of advertising on a lot of money. These social media accounts become an asset, a source of income. Celebrities, in their short time as celebrities, make all the money they can. In terms of advertising, sponsorship and exposure, social media are just the new media. Nevertheless, I do not think that they hire someone to handle this accounts, which is really detrimental to their focus and what makes them celebrities in the first place. Ask yourself how one gets to the point where they have at least 1 million followers on Twitter. It’s because they’re famous for their exploits on TV, Movies, Music, Sport, Modelling or who they’re dating or married to. The social media thing then profits off that. If I take myself as an example, I can’t think of any reason why 1 million people would want to follow me on Instagram. If however I was going to be starring in as a lead character in the upcoming Avengers 4 movie, then suddenly get a million followers would be a lot easier. Should I quite Whatsapp too? It’s hard for me to decide to quite it because I use it to communicate with real family and friends. The only danger with WhatsApp is checking it too frequently. Otherwise it’s absolutely fine. Set yourself a schedule. Check WhatsApp at 08:00, 13:00 and 18:00. Otherwise ignore it. Switch it off. Here’s the overall simply thing that people with smartphones need to do —>.Disconnect from the internet for the vast majority of the day. Connect to the internet only when you want to quickly check on something important. I can get my phone online with 2 swipes and a tap. If it’s that quick, why the hell do I need it connected to the internet CONSTANTLY? I’ve always been puzzled at the fact that many star professional athletes eat junk food (https://www.stack.com/a/pro-athletes-horrible-diets). For example, Marshawn Lynch is a five time Pro Bowler, and is famous for his love of skittles. So it seems to me that there are many low hanging fruits to be plucked in the field of professional sports. In which case, I’m not surprised by the fact that the low hanging fruit of quitting social media isn’t usually plucked. I’m no economist, but here’s my attempt at explaining it. Efficiency follows from 1) huge rewards and 2) many actors. For example, in the stock market, the reward for a 1% edge is huge, and there are many, many people in the market. So if there is a stock that is mispriced, given how many people there are, someone is going to pluck that opportunity. But in the NFL for instance, there are only 1696 players, so maybe that isn’t enough. I agree that for an athlete to be the best in the world requires complete focus and undivided concentration. Sebastian Vettel was the youngest F1 world champion when he won for the first time, and went on to win 4 world championships. Despite being young he has never had a social media presence, and has never allowed the media to intrude into his private life. Any F1 fan knows very well who he is. Max Verstappen, on the other hand, the youngest F1 driver to be given a seat at age 17 and who advanced to a top team in only his second season, does have a social media presence, but he stated in an interview that he doesn’t participate in it and has other people read and reply to his fan’s messages. Both approaches work to avoid the distractions of social media. Hey Cal! 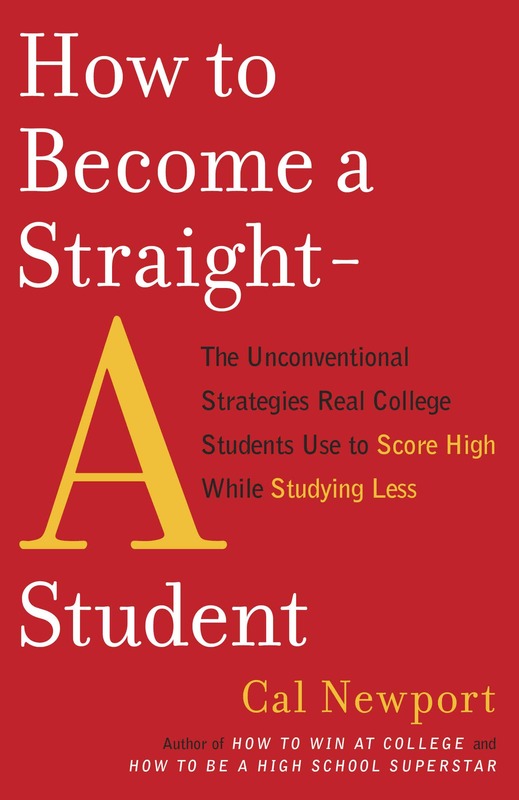 This isnt related to the article,but it is related to studying and a bit to your books like how to be a highschool superstar and how to be a straight a student. I can do active recall. I do it for everything ranging from maths to biology and now im getting good grades thanks to your methods. And also in Portuguese. Its a non technical course and i can recall everything for it. But the problem is punctuation, the structure of answers and the structure of the essay i need to write for tests/exams. My ideias are clear but the structure is weak,the punctuation is all over and wrong,etc. How can I improve that? Because according to my teacher I could have an A if the structure was good,but i end up getting only an C because i cant link my ideias well and can’t structure the essay and the answers. Hey, I just wanted to point out that Harper is a Latter-day Saint (sometimes called Mormons) and that they have been instructed recently to take fasts from social media.